DELEGATES WELCOME TO OCEANS'14 ST JOHN'S NL - PRESENT YOUR PAPERS - DO BUSINESS AT THE EXHIBITION- NETWORK - ATTEND OUR SOCIAL EVENTS- TAKE TIME TO ENJOY OUR BEAUTIFUL PROVINCE AND THANK YOU FOR COMING ! Are you going to follow us on Twitter ? 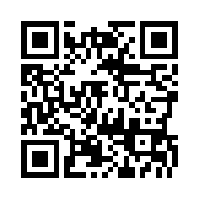 On your smartphone, scan the QR code, or load this URL in your phone's web browser. Then bookmark the location or save it to your home screen. Please note:The formal program for OCEANS'14 ends on Thursday, September 18. Friday, September 19th is allocated for B2B and Committee Meetings. Newfoundland artist Keli-Ann Pye-Beshara will be painting live at her on-site studio in Mile One! Stop by and check it out…and you might just WIN! IMPORTANT INFORMATION: When making travel arrangements for St. Johns, Newfoundland and Labrador please remember the airport code is YYT. There is another City in Canada (approximately 1,000 km from the OCEANS’14 host city) called Saint John, New Brunswick and in the past people travelling have mistaken our city for the other. So please ensure you or your travel arranger makes the correct choice, remember YYT.